There’s nothing like the sound of water to add instant peace and tranquility to a garden. 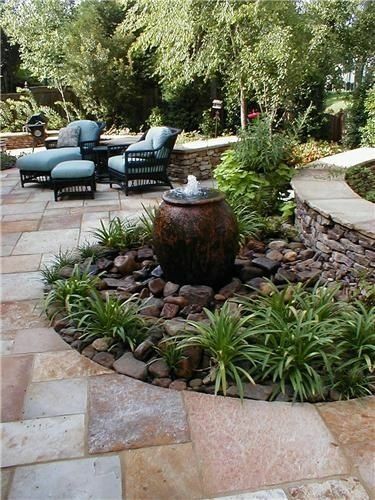 Whether it be water flowing in a beautifully landscaped stream to a simple table top water bubbler, there are so many ways to incorporate a water feature into your yard. If you’re considering adding a water feature to your garden, there are many elements you should consider first like the space, budget, landscape design and the overall desired effect you would like to achieve. If you plan to hire a landscape company, you’ll be in good hands as they will advise all elements including choosing a design to meet your style. But if budget doesn’t allow and you’re building a DIY water feature, our staff at Rockland can help you price out your Edmonton landscaping supplies and discuss your DIY landscape project. (In case you missed it, check out this article to help you decide between building a waterfall or pond in your yard). Get the wow-factor with one or more boulders in your garden! 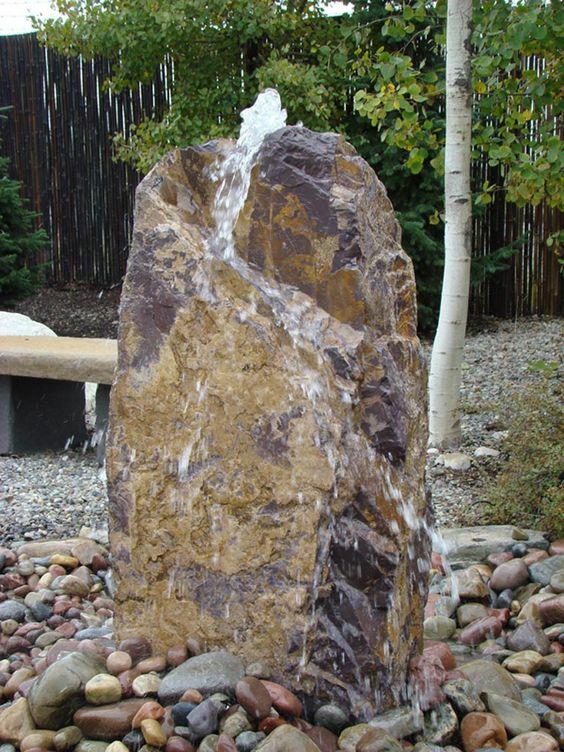 Rockland offers core drilling and can plumb any size of boulder for a water pump allowing you to fully customize your water feature. Decide which landscaping materials to use for your surround/base, choose your boulder(s) and Rockland will deliver and place the boulder in your yard. There are many great options for manufactured fountain kits that come with all the valves and the pump you'll need to create an eye-catching feature in just a couple of hours. If you opt for a more customized water feature, you may need to bury the basin into the ground and cover it with gravel or decorative rock. Waterfalls can be created in the yard using many kinds of landscaping materials but Barkman makes it easy with their waterfall kit. 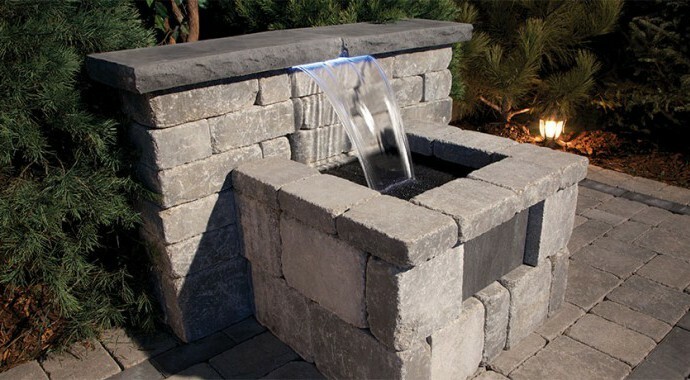 Their kits include everything you’ll need to build a stone waterfall and our staff at Rockland would be happy to give you the specs, details for installation and maintenance.